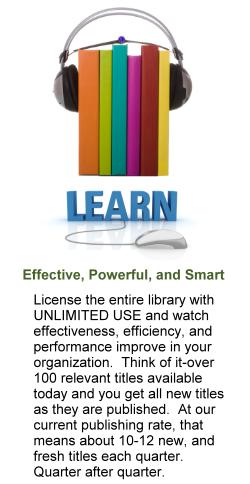 The Licensed Library provides unlimited access to the digital learning library. Your organization and users gain access to the entire library AND every future title as they are published. Enrich your learning experience with our dynamic resources. Implement to Manage, Track, and Deliver Learner Resources - Imagine your organization having unlimited access to the entire library of resources. You can easily integrate the learning resources into your LMS and LCMS Systems or use them as stand alone using our powerful user platform. Your employees can easily access the web-based library through a secure username and password. Your administrator has on-demand access to the tracking reports for user downloads, most popular titles, most accessed categories, and more. Customize Curriculum or Convert Your Materials - Take advantage of our senior writers for customized curriculum development. Our authors are today's thought-leaders and subject-matter experts. Engage us to convert your training into powerful interactive digital resources. Let our team of developers help transform your organization's learning experience. Outsource Your Training - Outsource your training to our faculty of master teachers and professors. Our instructional strategies are for adult learners and contexts. 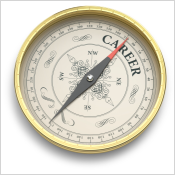 Implement a branded portal platform for training management and tracking. Deploy our total packaged solution of high-value learner solutions.